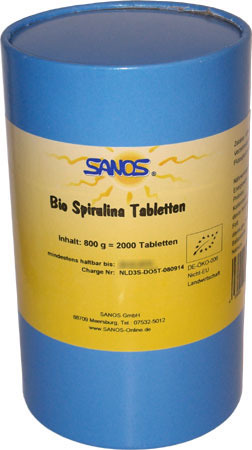 Spirulina is a freshwater algae. 3-5 spirulina tablets 3 times daily before or between meals with a sufficient quantity of water, tea or fruit juice. The intake can be changed individually, as required. 1 tablet contains 400 mg of pure algae powder. Alfalfa is good for the constitution, and benefits both the introverted and extroverted type of person.